The sheet shows a section of the garden compound of the Tenjin (also Tenman) shrine in Makeido. 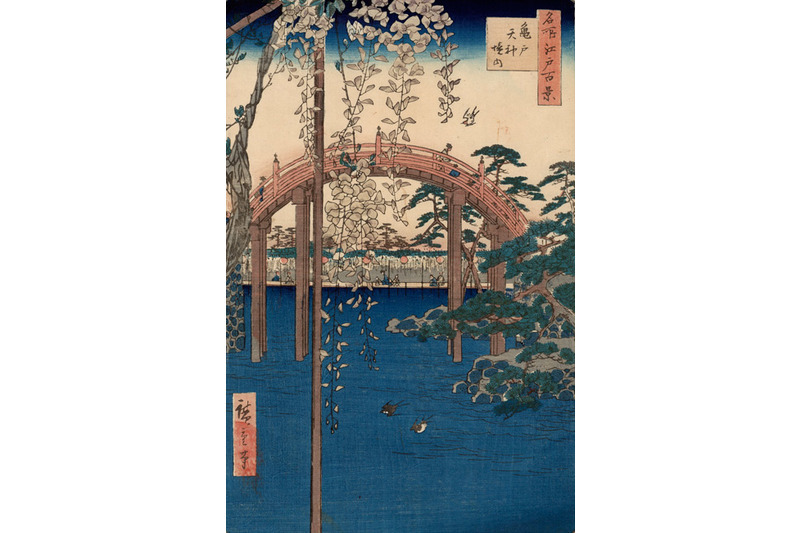 Hiroshige focuses the view of the observer onto the beautiful sights in the area: the wisteria and a finely formed drum bridge. There were two drum bridges in this garden, a smaller and a larger. The smaller was of stone and was seen as “feminine”. The larger was of wood and regarded as “masculine”. (From the publication: Ukiyo-e Reloaded. 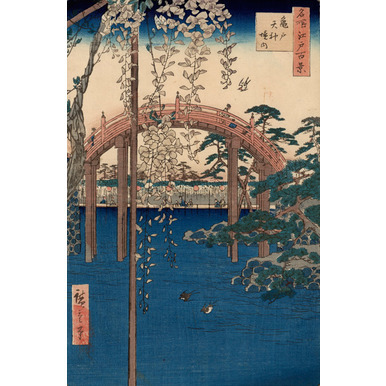 The MAK Collection of Japanese Colored Woodblock prints. Edited by Peter Noever, with contributions by Brigitte Moser, Beate Murr and Johannes Wieninger. MAK Vienna / Hatje Cantz Ostfildern-Ruit, 2005).